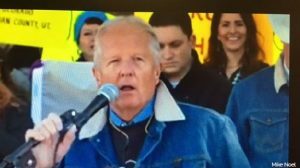 Interior Report Clears Utah Lawmaker — Mike Noel — of Wrongdoing in Monument Reduction | RANGEfire! SALT LAKE CITY — [According to a recent article published on ksl.com], a U.S. Department of Interior’s inspector general report released Thursday said it found no evidence former Utah legislator Mike Noel influenced the shrinking of Grand Staircase-Escalante National Monument to benefit financially. Noel, who owned 40 acres inside the monument’s boundaries when President Donald Trump ordered the acreage reduction in December 2017, was accused of exerting influence during the monument review process by the public lands advocacy organization, Western Values Project. Noel said he met with the senior investigator with the inspector general’s office for several hours during the probe. Chris Saeger, Western Values Project’s executive director, called the report flawed. A synopsis of the report disputes Saeger’s characterization of the monument review process. “We found that although the (Department of Interior) had no formal processes in place for modifying national monument boundaries, DOI staff developed a process and followed it when reviewing the (Grand Staircase) monument and other DOI-controlled national monuments under consideration for boundary modifications,” it noted. The report said it found no evidence Noel influenced the agency’s proposed revisions to the monument or that then-Interior Secretary Ryan Zinke or other staff were aware of Noel’s financial interest in the revised boundaries. To learn more about Mike Noel,read The Making of a Herd Bull — the Political Evolution of Southern Utah’s Mike Noel. It’s high time for the US govt to start a Land Lotto and get some of that land out in Private Deeded hands bout 2x a week. A land lotto can be structured to pay the govt handsomely to get rid of some dirt that they simply Do Not Manage anyway. Say lotto off a couple parcels per week. This will build a lot of economy off a current ” dead Earth ” asset.